The transfer activities during the summer for AC Milan were not really earth shattering, but a handful of newly signed players have successfully cemented their place in the starting setup in Max Allegriai??i? ?s plans. Having topped the league table on the last matchday before the seasonal break and a spot sealed in the final sixteen in Championsai??i?? League, Milanai??i? ?s season is well underway after a shaky start earlier in the summer. The league is appearing to be as competitive as it may get this time around and it will only be wise to suggest the team with the greatest depth may emerge victorious in the longer run. Juventus already hold an advantage of being able to gather their entire focus on the league whereas Milan do not have that liberty ai??i?? not that the fans are complaining. Along with retaining the league title, extending the European journey to the later stages in the competition too is one of the realistic targets for the season and, to realise the both goals, variety is pretty much required to be added in multiple departments on the pitch. Rumours are already doing rounds about the likes ranging from Tevez to Montolivo, all being linked to Milan, but at the same time it is important to address the perfectly identified issues in this particular window. Will He Go For The Kill, One More Time? Midfield is one of the major areas of concern where Milan do lack a leader to orchestrate the game from a deeper position ai??i?? the one Pirlo occupied for nearly a decade. Defence too needs quality additions with form, age, fitness and credentials of defenders all being questioned. As of now, attack promises to be one of the best in Europe, when all the forwards are available for selection but that has hardly been the case in more than a year now. With that in mind, Milan may not shy away from strengthening their attack too, provided that some quality players are made available on the window. Let us examine all the departments individually, assessing both the availability of players for different slots along with the requirements for reinforcements in those particular areas. Christian Abbiati was undoubtedly one of the unsung heroes in Milanai??i? ?s Scudetto triumph during the last season, but, sadly, the chief custodian has not remained at his best in the teamai??i? ?s quest to defend the title. His direct deputy Marco Amelia has fared more than decently in the limited opportunities presented his way but one might just fear a spell of injury or even a slightest dip in form for Abbiati will raise several questions for the champions on this front. With no urgency shown so far by Galliani & Co. to add the numbers to guard the nets, the chances of new faces here are bleak, although the possibilities of one of the primavera shot-stoppers being graduated to the first team as a desperate measure cannot be ruled out, should the need arise. Ignazio Abate has more than made this one position his own and has performed exceedingly well for over a year. His crossing abilities invite criticism and he is also vulnerable against fast-paced wingers, but his no-nonsense approach and positional sense make him the automatic choice for the slot. However, in case of his unavailability, the names on the replacement sheet are anything but pleasing. Age is definitely catching up with Zambrotta and it has been some time since he started a game from the right flank. Both his pace and ability to invade the opponentsai??i?? territory are worth the scrutiny, whereas Daniele Bonera relentlessly re-establishes the fact that Massimo Oddo would definitely have made a better squad player. Bonera is a utility player in defence given his abilities ai??i?? rather the lack of it ai??i?? to start from all the four defensive positions but his name as the second choice defender in as many as three positions signals the thinness of defence. So far, Galliani has not entered the market looking for a replacement of the deadwood here but a Nocerino-like last minute signing for this position would not hurt at all. The emergence of the youth product Mattia Di Sciglio may restrict Galliani from spending in this particular department. Milan are pretty sturdy in the defence and though the centre-back pairing of Nesta and Silva failed to immediately reproduce last seasonai??i? ?s heroics, they are definitely on their way back to establish similar levels of authority at the heart of the defence. In Philippe Mexes, Milan have already invested in the long-term replacement for Nesta but there are enough reasons to raise an eyebrow seeing Boneraai??i? ?s name as the second choice centre defender. Yepesai??i?? injury may see Galliani looking into the market but no high-profile signing is expected in this area of the field. Nestaai??i? ?s announcement of having no plans to retire at the end of the season might raise some unnecessary speculations over the extension of his contract in the summer. The summer addition of Taye Taiwo in the Left Backai??i? 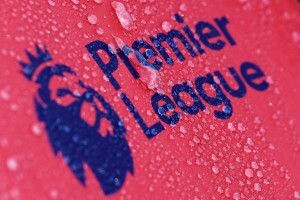 ?s role has not gone according to plans as the Nigerian has failed to cement a place in the side for different reasons. Luca Antonini has been below par for too long a period now, but at the moment the midfieldersai??i?? tendency to offer a helping hand to the defence has saved Milan any real humiliation on the flanks. However, in European nights, this is one area that has appeared the most vulnerable and the prospects of Antonini or Taiwo manning the flank of Theo Walcottai??i? ?s operation must be giving fans nightmares already. A solid defender with better crossing abilities is definitely required but so far no efforts have been made in this regard. Max Allegri has so far preferred Zambrottaai??i? ?s experience on the European outings against the top teams, which makes all the sense in the world but Zambrotta is not getting any younger, which should be reason enough to add depth here. Rumours have strongly suggested the departure of Taiwo during the winter, which may cut short Didac Vilaai??i? ?s loan spell at Espanyol. The experience and energy in this particular department is certainly that of a champion unit, but the aspect worth the maximum consideration is the aging legs of the experienced midfielders. Ambrosini, Gattuso, van Bommel and Seedorf are all heading towards the end point of their contracts and are unlikely to be offered a fresh one. Aquilani and Nocerino have established themselves in the midfield area but the third position is still anybodyai??i? ?s for the taking. Seedorf has enjoyed the maximum playing time in the first half of the season but it would be unfair to expect him to rediscover his magical first touch and vision at this stage of his career. Gattuso fared brilliantly during the last season from the right but the career-threatening injury has largely kept him out of action this season. Mark van Bommel is definitely not the same player he was for the latter part of the last season and the lesser said about Ambrosini, the better. Replacing these world class players is going to be no mean task for Galliani but the two players Milan have expressed a desire to sign, are truly befitting to step into the big shoes of these big guns. However, both Fiorentina and Roma are unlikely to sell their priced assets in the winter, more so to an Italian club but Galliani will be consistently monitoring all the development surrounding the transfer of these two. Getting either of the two on a Bosman this summer appears to be a bigger probability at this stage though. Alexander Merkel has been performing with decent levels of consistency for Genoa and one may believe Galliani must be noting his progress down. In Max Allegriai??i? ?s customary 4-3-1-2 setup, Milan have relied heavily on the player operating high up the pitch to maintain a link between midfield and attack. Kevin Prince-Boateng has been the first choice for the slot and his exceedingly good shooting abilities only further justifies his selection for the position. Seedorf too has fared better in this role as it does not require him to provide any defensive shield to the backline whatsoever and steaming in with long rangers has always been his forte. Emanuelson, despite being a Left Winger, has been tried in this role but the former Ajax man has been far from impressive. Naturally a forward, Robinho too has slotted in this role quite effortlessly and his tireless vertical runs along the length of the pitch have proved to be very crucial for the general levels of movement in Milanai??i? ?s game. At times, due to the lack of creativity from the midfield, even Zlatan Ibrahimovic drops deep and accommodates himself in the zone to add the creative spark. So far, this unit has provided no reason to press the panic buttons, but the signing of a dynamic midfielder who can operate from multiple midfield positions would be a handy addition to the squad. A proper box-to-box midfielder may also release Aquilani from the deeper position. The on-loan Liverpool midfielder can be presented another chance in the role of a CAM, at the times when Boateng is unavailable. Reportedly, Milan have launched the second bid to sign the out of favour Manchester City striker and handed over a four day time to the current leaders of the English Premier League to reply. Tevezai??i?? addition would ridiculously bolster the attack and his versatility to fit into any role ranging from Attacking Midfielder to Centre Forward will add the much needed vigour to the fragile attack, amusingly prone to injuries. 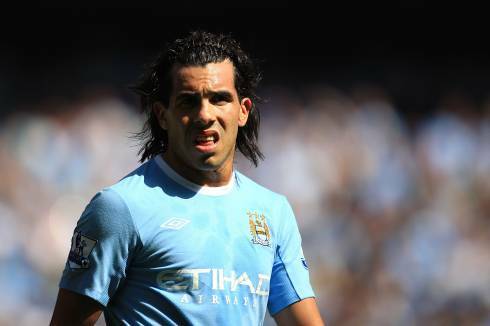 Despite being cup-tied, Tevez will add much to ensure that the domestic supremacy is maintained. In case of failure to land the Argentine, Galliani may resort to Tevezai??i?? compatriot Maxi Lopez who is certain to be on his way out of Sicily. The Catania forward is being linked to a number of clubs but is expected to prefer a flattering offer from Milan ahead of others. Filippo Inzaghi has been deemed surplus to requirements by Allegri and the veteran forward may find one last chance to play till the end of the season at the newly promoted side Novara. Although Pippo himself has ruled out possibilities of any such move, few would be surprised in case of his graceful exit in January. Despite appearing one of the better units in Europe this season, almost all the departments require repair work, albeit in different measures. Few shrewd signings in January will add to the variety of the squad, which precisely is the need of the hour. Itai??i? 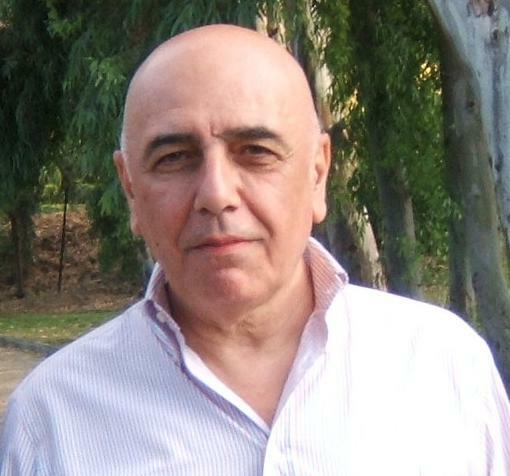 ?s time for Galliani to deliver once again.